Home / SINCHIES / Sinchies for Dads! Yes, You Heard Me; Sinchies for Men! Make Dad-size smoothies in the Sinchies 200ml, 500ml and 1 Litre reusable pouches. Take them to work, to gym, on picnics, to sports events and even the man cave! They’re also perfect for running gels for marathon and cyclist Dads! 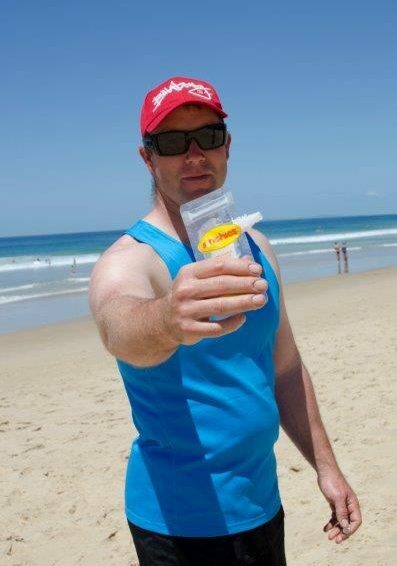 Sinchies 1 Litre pouches are perfect for Dads to use for their braai marinades. Try our Easy Sweet and Sour Chicken Marinade. The 80ml Sinchies are the perfect size for travelling Dads. Fill them up with sunscreen, shampoo and bodywash so they’re ready for a trip anywhere! An 80ml reusable Sinchies pouch of salad dressing, makes a lunchbox so much more exciting and helps prevent the dreaded limp lettuce. Any chef dads out there? They can mix up their own spice blends and infused oils and store them in Sinchies reusable pouches. Got any other ideas? We would love to hear what the Dads in your house use Sinchies for!